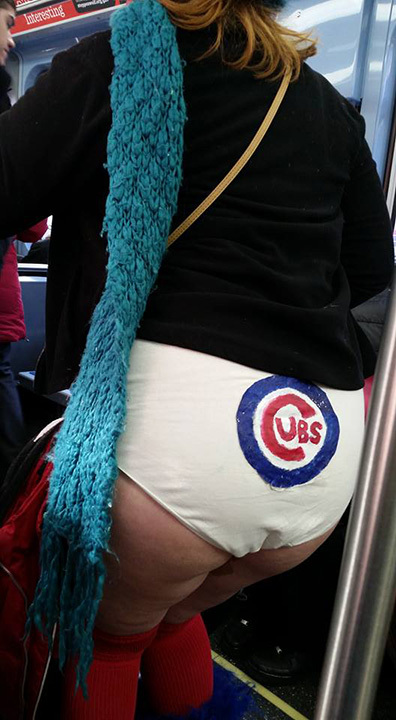 CHICAGO, IL -- Subway riders in other cities around the world got an eyeful when their fellow transit users stripped down to their underwear. 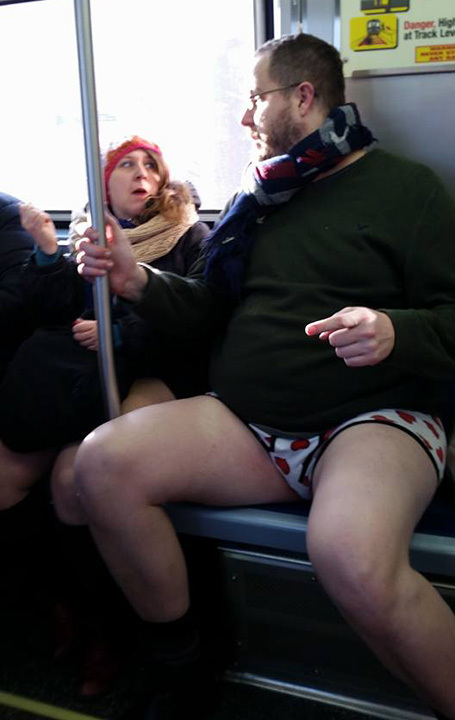 The annual No Pants Subway Ride took place on Sunday. The event is organized by the Improv Everywhere comedy collective. It started in 2002 in New York with seven participants. Organizers say pants-less subway rides were scheduled to take place this year in dozens of cities around the world. Philadelphia's version is sponsored by a laundry delivery service.